Sightseeing in Missouri - Missouri Sightseeing Like Never Before! Missouri is a beautiful state with more to see than you can imagine. Take the family sightseeing in Missouri this weekend for a great family trip. We have a complete list of the best places for Missouri sightseeing. If you have some spare time and want to do some sightseeing in Missouri take the time to visit the Meramec Caverns, located on Route 66, in the Ozark Mountains. The caves are the oldest ones in Missouri and are included in the rarest list of caves in the world. If you enjoy a good adventure you will love exploring the caves and canoe while watching the great scenery. As an extra, tours are scheduled every day. On a day off, take a tour of the Black Madonna Shrine and Grottos, located 8 miles away from Eureka, MO. If you visit, you can see the amazing looking collection of rock grottos and sculptures, each in a different color or featuring multiple colors. The grottos are located in the mountains in a peaceful area that is known for its great landscape and view. 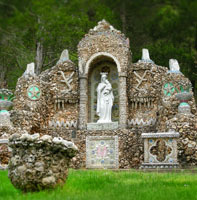 The Black Madonna Shrine and Grottos are an important part of Missouri history. Explore the Missouri urban settings at Carondelet, a historic place in St Louis. 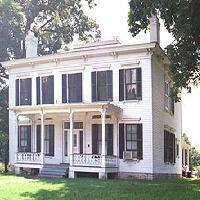 Carondelet is not a new area, as the neighborhood was established way back in 1767. Tourists can enjoy visiting the eclectic shops, have lunch at the small and cozy restaurants while enjoying the Mississippi river view. The new mixes with the old and you will have a great time seeing the historical buildings entwined with the new constructions. One of the best places to visit for sightseeing in Missouri is the old Bellefontaine Cemetery in the city of St Louis. Besides the beautiful architecture and tranquil atmosphere, you can see the graves of numerous personalities such as Thomas Hart Benton, explorer William Clark and Sara Teasdale. Many other monuments were built here, and tours are scheduled every day of the week. The Bellefontaine Cemetery receives guests daily starting with 8 am and until 4:30 pm. A trip to the Saint Louis Zoo is the ideal place to spend a morning or afternoon. The zoo is located close to many other city attractions and a tourist will find many things to do while spending time here. You can enjoy seeing the animals but also the beautiful scenery and different species of plants. Start your trip with a visit to the Historic Hill, a place rich in 1920 history where reptiles and birds can be watched. A day off could not be spent any better than by staying close to nature and engage in sightseeing. If you visit Chesterfield, MO, stop by the amazing Missouri Botanical Garden. The garden is open every day during summer, from 9am and up to 4pm, so you will have plenty of time to enjoy the view and engage in the various activities that take place there. The Missouri Botanical Garden is famous all over the world. 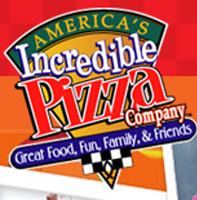 America's Incredible Pizza Company in St Louis is the place to visit if you love food and especially pizza. The company is famous all over Missouri and you will find many things to do if you visit with your kids. Glow Golf and video games are available to play, and the whole area is spread over 60,000 sq. ft. People of any age and culinary preference will surely find something they like while having fun for the day. Take the day off and enjoy visiting the famous Anheuser-Busch Brewery in St Louis, MO. The brewery can be toured and you will get the chance to see the historic Brew House, visit the gift shop and the cellar. Visitors can see the rich architecture of the brewery and learn about its history along with having a taste of the beer. The Anheuser-Busch Brewery was founded in 1852 and the beer produced here has gained fame all over the world. The Cherokee Antique Row in St Louis, MO is the perfect place to visit when you have an afternoon off and want to do some sightseeing. The historical row consists of 6 blocks of historical buildings full of antiques, memorabilia and artifacts as well as various shops and restaurants. The Cherokee Antique Row is located 10 minutes away from downtown St Louis, in a highly populated area with plenty of things to do and see. 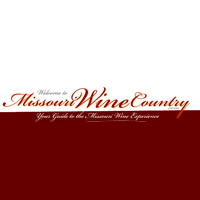 If you plan to do some sightseeing in Missouri, you should not skip the Missouri Wine Country, located near St Louis. The winery was first established in the 19th century, and since then it became a well-known Missouri tourist destination. You will enjoy spending your whole day viewing the amazing landscape looking down from Mount Pleasant Estates, eating at the small restaurants placed everywhere and buy gifts for your friends from the shops.